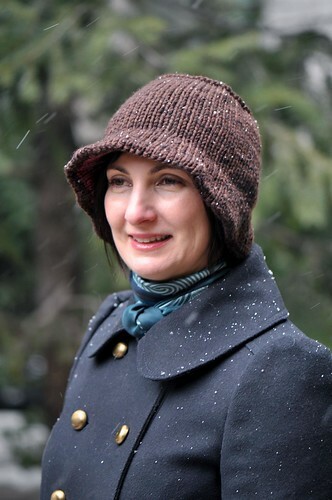 Linehan is a flattering hat worked from the center of the top outwards, then down to the turned brim. A little bit of contrasting colour on the inside of the brim is a fun surprise! Knits up super quickly. Shown in 21.5” / 55cm size. Aran or heavy worsted weight yarn, held double throughout. 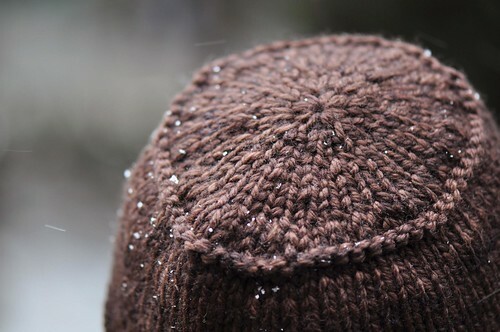 You can also substitute one strand of bulky yarn – you’ll need about half the the yardage given. 12 sts and 18 rnds = 4” / 10cm square in Stockinette Stitch worked in the round with two strands of yarn held together. Skills required: invisible cast on, knit, purl. 2 page PDF pattern.